One strip left off the former stadium. 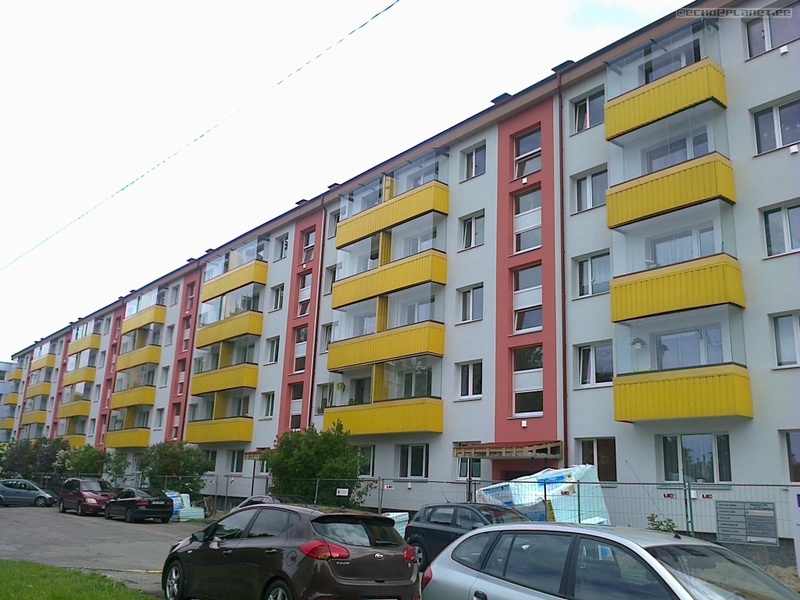 The open view is cool anyway, although the building on the right should have been painted with other colours. I was in a hurry but still took photos while walking through an area where I seldom go. Last time I walked here many years ago. Surprise, I found a building that is very different and I couldn't recall this from my memories. It looks like it was thrown here from Lasnamäe! The place for a small church-social-culture-centre (as I call it). A new one to my surprise, Kiili 12. Very nice view. 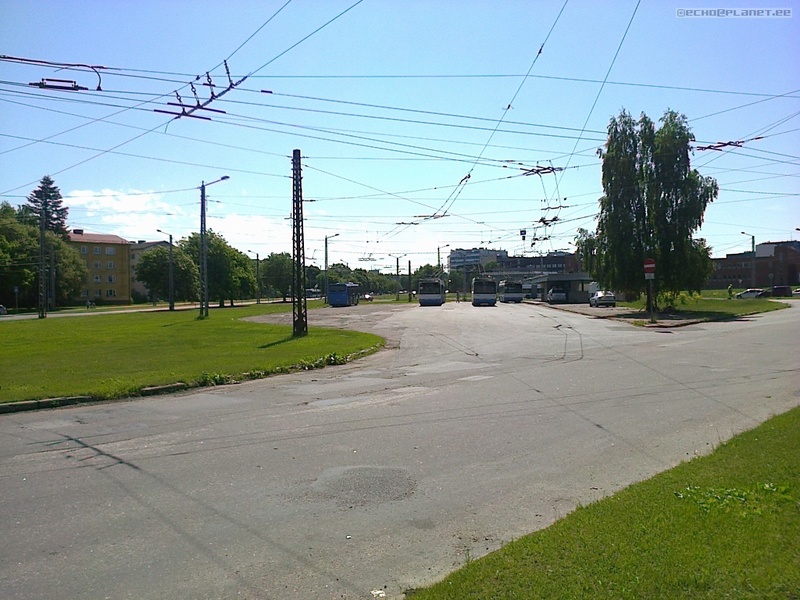 There is a quite similar view possible in Annelinn in Tartu. This unique one has been renovated by now. I wanted to get a better photo of the new-found building so I went back just two days later. First some other photos. 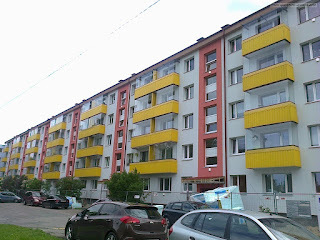 I also took many photos of Sipelga street new buildings. I enjoy these long balconies a lot. There's a cat room on the second floor, www.pesaleidja.ee. This is the curved building in Mustamäe (at Tammsaare tee which is on the other side), as there is one also in Väike-Õismäe. Just a view to one of the end terminals of trolley buses and now also buses. It will be only for buses when all the trolley buses have been removed from public transport. That's why I took this photo. This nice house, a unique one in Mustamäe, used to be white, or white+black. These are new nice additions to Sipelga area, shortly visible above too.